If you are following our series, then you should have downloaded our FREE E-Book: Building Your Brand – A 7 Step Guide To Branding Your Business from our first blog. In that E-Book, we walk you through essential foundational pieces that are needed in order to create a proper brand for your business. If you have not gone through this yet, click here and download your E-Book to be on your way to properly branding your business! Domain Name: If you haven’t landed on a name for your business, you should be at least browsing through domain name options to help select your business name. It’s key for your branding to have a domain name that has your business name in it! BM Pro Tip: Your business name should also follow the guidelines set out in our E-Book. Want to know what those are? Download the E-Book here! Web Hosting: Once you get your domain name, you can secure a company to host your website. Unsure what this web hosting thing is or if you need it? Read our last blog to learn more! As promised, we are continuing our conversation about Your Online Presence. Excited! It may sound super exciting and sophisticated. I mean, it’s pretty legit when something that was birthed in your mind actually goes online as a professional website! It’s a great milestone achieved for your business and you’re ready to jump into it! Overwhelming! The idea of getting a website for your company may sound completely overwhelming and out of your league! That’s completely understandable. 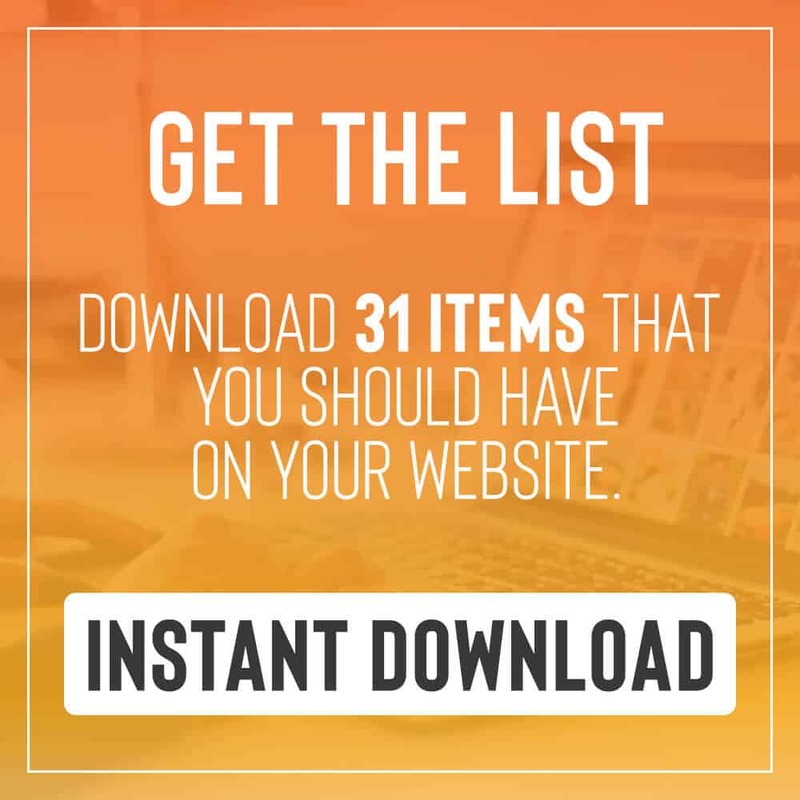 Sometimes these things that are needed for your business to thrive can seem more like a nuisance to what you really want to spend your time on. 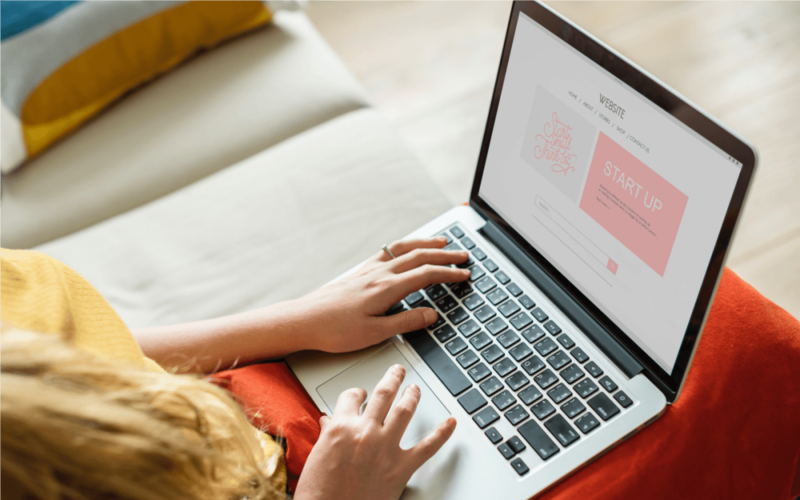 Whether you are thinking about tackling creating a website yourself or hiring a company to build one for you, this blog is for you! Cause what I am going to share will help you either way. We need to talk about How To Translate Your Business Online. Have you thought much about that yet? Your website is a communication tool to anyone looking for your type of services or products. Your homepage will communicate with a potential client in 6-8 seconds whether or not they want to invest more time with you or move on. Is that a scary thought? Rest assured that that thought shouldn’t scare us, but rather it should be our filter for how we choose to communicate with our clients. If you have 6-8 seconds to communicate to your client what you do, how would you communicate that? Well, that’s our mission for today and everything I am about to say boils down to one sweet word… simplicity. Now just because I say it boils down to one word, doesn’t mean you should bounce out of here, because the good problem with creating your business is that you’re passionate about it! And you probably have a lot of vision for it as well as a lot to say. Like I said these are good problems! I am calling them good problems, because in your day to day life, it’s great for you to have this enthusiasm for your business! You need this! (It’s really not a problem) BUT when it comes to figuring out how to translate your business online, all that passion and vision can get in the way of a simple effective message to your client. Did that make sense? I hope so! What we need to do now is go back to the section of the E-Book that walks you through What You Are All About. In this section, we walk you through how to describe your business in 5 words, your slogan, mission and your pitch. Grab these things because you need them in designing the message of your website! Need to go through that section? Click here to get your free E-Book. It’s on pages 4, 9-11. There are several things that a person will first see when they land on your website: business name, logo, homepage image and slogan. Each one of these four things communicates a message to your client. Especially if you are starting out, it is best to have a business name that is clear as to what you do. Give your clients an easy road to understanding your business by having in your name what you do. If your name happens to be a little vague as to the services you provide you can still make it up with the other three components, but you have to do it right. It is of the utmost importance that your logo clearly communicates to the customer who you are and what you do. Make sure you have a logo that is professionally designed and one that can translate across multiple social media platforms. When designing a logo, it can be easy to get caught up in designing something that best represents you, your style and tastes as an individual. Sometimes that works for designing a logo, but other times that can get in the way of developing a logo that has a streamlined message for your business. Keep it simple and keep the message clear. Have a logo that represents your business first. From someone who builds websites daily, I will tell you that the most beautiful websites are those that have quality images. In this day and age, it’s very easy to snap pictures with our phones and call it a day. These pictures rarely have the quality needed to produce a website of professional quality. Do yourself, your business and your profits a favor by getting a photographer or getting a camera that produces quality images. Make sure you choose THE image that best displays what you do. This should be a crowning jewel image and it shouldn’t be one that is on stock with Adobe or Shutterfly. Showcase who you are and the quality of your work. If you are hiring a company to professionally build your website, you may think you can use images of less quality because you have experts building it. Sadly, no graphic designer can alter the digital make-up of a small low-quality image. You will actually be wasting their time (and your money) asking them to hide all the imperfections of a low-quality image. Take the time to get good images that are properly staged. Your business will thank you for it! Your slogan should be a short, catchy, memorable phrase that describes your business. If you want more tips on how to create a slogan, check out our E-book on page 9. Once you have these four things in place you are ready to move forward with telling them about the services and products you offer. Here are some tips on how to communicate your services online. Real Life: I once saw a TV show that followed this cleaning product company. Instead of naming their cleaners for what they were such as all-purpose, soft scrub, glass, etc., they named them after people they knew. When they explained why they did it, it was heartfelt and genuine. But as you watched the remainder of the show, they ended up renaming their entire product line because clients were finding it difficult to understand their business. Don’t try to be too witty in naming your services & products: If you know me, you know that I love being witty. So I get the desire in trying to come up with fun unique names for what you do or offer. Resist the urge and use words that clearly express what you are offering. Less is more: As I said, this is where your “good problem” comes in. You may have a lot of vision and passion for all you want your company to become! Sometimes our desire is to make our business the one stop for all things (fill in the blank). But your priority should be to hone in on the top 3 things and become known for that! Once you become the expert in those things, then you can begin to expand into those additional services you eventually want to get into. That’s all for this week. I hope this gave you a lot to think about and work through as you think about translating your business online!